Lizards - Wildwood, Kent, England - Sunday August 3rd 2008. Lizards are reptiles, and universally possess scaly skin and a skull with many fused or reduced bones. Most lizards retain the typical tetrapod body plan of a short neck, four limbs of roughly equal size ending in five toes each, a moderately long body, and a long tail. Most lizards possess external ears and have movable eyelids. Encompassing forty families, there is tremendous variety in colour, appearance and size. Most lizards are oviparous, though a few species are viviparous. Many are also capable of regeneration of lost limbs or tails. Almost all lizards are carnivorous, though most are so small that insects are their primary prey. A few species, however, are omnivorous or herbivorous, and others have reached sizes where they can prey on other vertebrates. Many lizards are good climbers or fast sprinters. Some can run bipedally, such as the collared lizard, and some can even run across the surface of water to escape, namely the basilisk. Many lizards can change colour in response to their environments or in times of stress. The most familiar example is the chameleon, but more subtle colour changes occur in other lizard species as well, such as the anole, also known as the "American chameleon," "house chameleon" or "chamele". Some lizard species, including the glass lizard and flap-footed lizards, have lost their legs or reduced them to the point they are non-functional. However, some vestigial structures remain. Snakes, which evolved from the ancestors of monitor lizards, are characterized by lack of eyelids, lack of an external ear, a forked tongue, and having a highly elongate body (as opposed to a normal body but extremely long tail). While any given legless lizard species (of which there are many) may match on one or two of these characteristics, they invariably differ from snakes in others. For example, flap-footed lizards lack eyelids as do true snakes, but can be distinguished by their external ears. 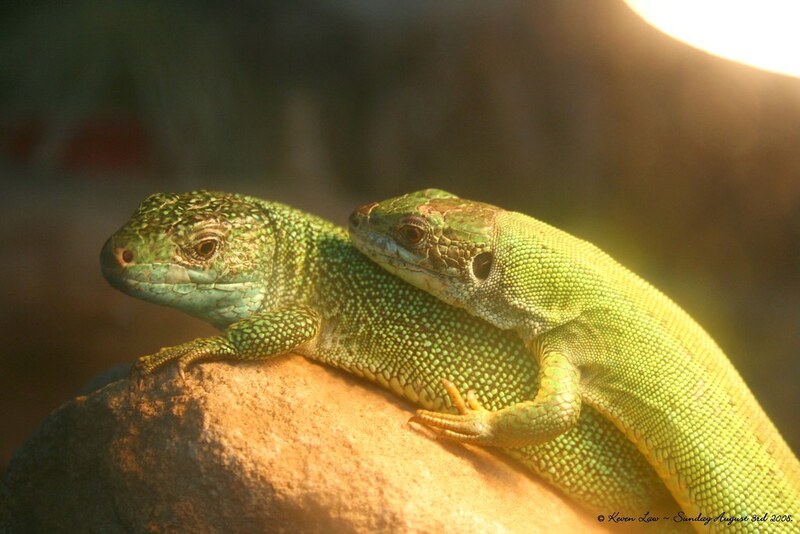 Lizards are part of the reptile family, meaning that they have no inner means of achieving homeostatis. As a result, they must keep careful watch of their body temperature. This need requires lizards to live in areas with consistently high temperatures. Lizards are rarely seen in the upper half of the United States and most European countries.